Our first big announcement in 2014! We have been anxious to share with you the news since we had been getting ready for it for months! We have made the final decision! Due to popular and big demand, both our boats (M/Y Andromeda and M/Y Cassiopeia) will be in Sudan in the first half of 2014! Something new for our advanced guests! No need to travel to the other side of the world to discover something new underwater. Sudan is still fresh and UNTOUCHED! What is GUARANTEED in the spring? 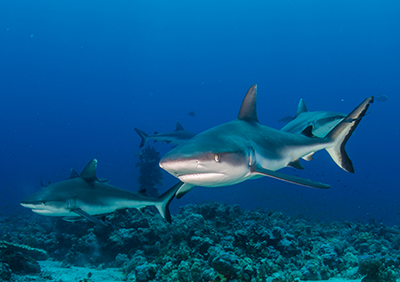 Hammerhead, reef and grey reef sharks, hump-head parrotfish, dolphins, not to mention gigantic schools of barracuda and the ever-pulsing reef life. The world’s best dive sites in one place! 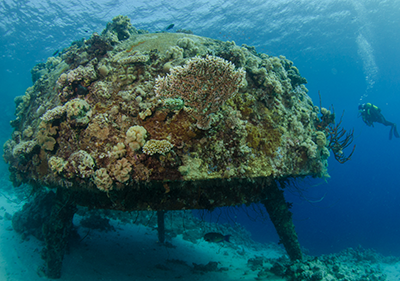 We think the most ADVENTUROUS dive sites can be found in Sudan. If you feel differently, feel free to comment here. And you can experience all this still at reasonable rates. … 99.5% of the customers would kindly recommend our services to their friends and would return any time. We arrange everything for you! We take care of your Sudanese visa, permissions and taxes. If you fly to Port Sudan via Cairo, we arrange your Port Sudan flights, hotel accommodations and transfers, and provide airport assistance for you. In Port Sudan we provide you airport assistance and transfers between the airport and the boat. You may also fly to Port Sudan via Dubai and you may also add a couple of days of sightseeing in Dubai to your holidays. Port Sudan is a safe area within Sudan. You are only a 20-minute bus ride from the airport to the boat in the Port Sudan marina. The areas with hot spots are more than 3,000km from Port Sudan. Our captains’, guides’ and crew’s constant presence, and high level of experience and professionalism is always guaranteed. 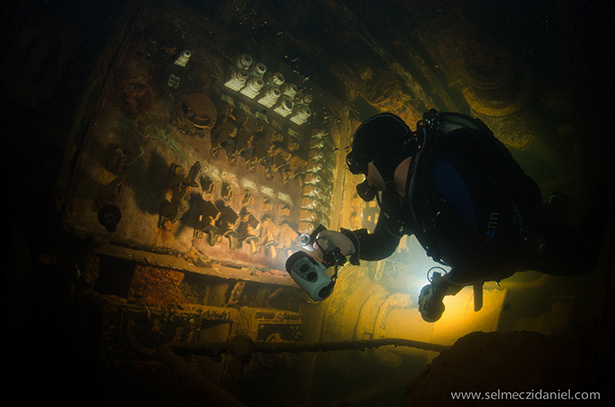 And your safety is further ensured during diving by the diver search and locate security system onboard both our boats. “We have had a pleasant trip and a wonderful cruise on your Andromeda Boat in Sudan. “Just a quick note to thank you for organising the Sudan trip. “One of the best. …the whole of the trip was PERFECT, and in particular I want to emphasis the efficiency of your agent in Cairo. Also your agent in Port Sudan was very efficient. … the crew was very nice and they were very helpful, the food was good, and is important to remark the person of the Dive Master, excellent professional. Any questions? Please comment or send us an e-mail. 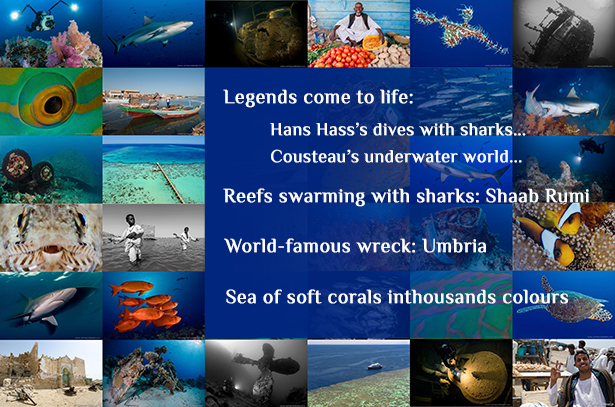 Posted in Blog, Latest newsTagged andromeda, Cairo, Cassiopeia, delfin, Dive sites, reef, safari, sudan, tourLeave a Comment on Our first big announcement in 2014! 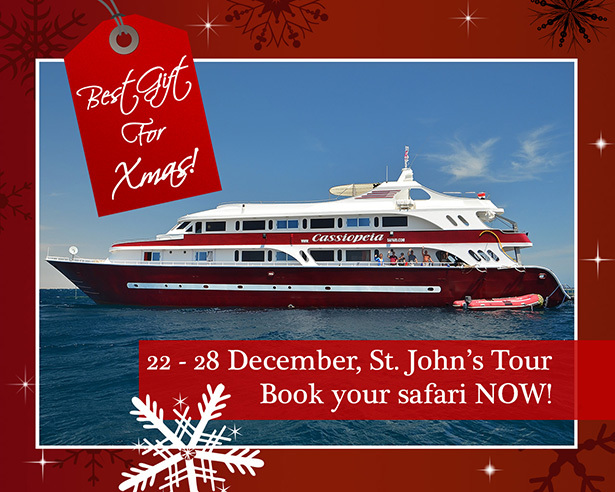 Join our Christmas and Scuba Diving Safari in Egypt! Fabulous accommodation onboard M/Y Cassiopeia! Confirmed sailing with minimum 14 booked guests. Posted in Blog, Featured storiesTagged Cassiopeia, christmas, deep south, diving, red sea, safariLeave a Comment on Join our Christmas and Scuba Diving Safari in Egypt! Suddenly feeling the urge to get away from it all? Get away to Sudan for some winter holiday and some of the best scuba diving to be found in the World. Get far enough south in the Red Sea and you won’t see other safari boats, liveaboards, or overdived reefs – just marine life, and lots of it! Sudan is known as the gem of the Red Sea and with reason! 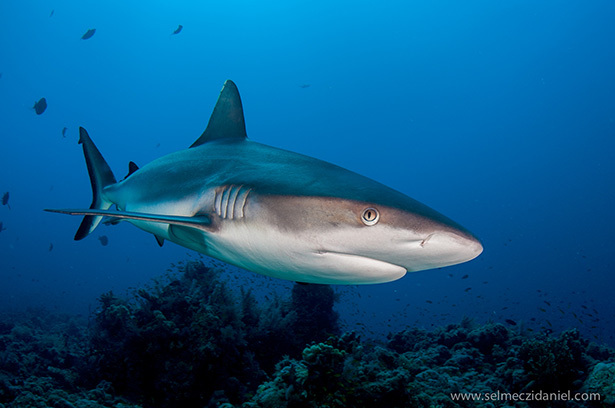 Untouched reefs, a splendour of corals in thousands of amazing colours, huge schools of fish and of course, sharks in abundance can be found here. And no wonder that Captain Cousteau built his underwater observatory here the parts of which can still be explored by scuba divers. 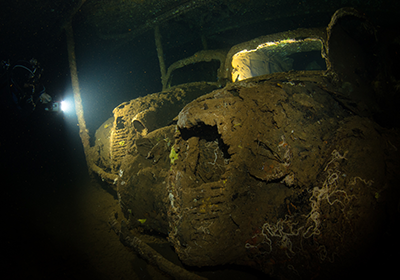 After visiting Angarosh, one of the most famous shark sites in the world, a really exciting wreck awaits us – the Umbria. Besides the beauties of the sea, we must also mention Suakin, the ghost town, which once was the main port in the Red Sea. As we did this year, we are returning to Sudan – with M/Y Cassiopeia and M/Y Andromeda – again in February, 2014 until June, so we look forward to seeing you and your guests again onboard for another amazing season in Sudan and we hope to see some new faces as well for an unforgettable experience. We offer a collection of unbeatable, special offers to Sudan from February 2014 until the end of June. Got a question or want to check availability? Please send us an enquiry! 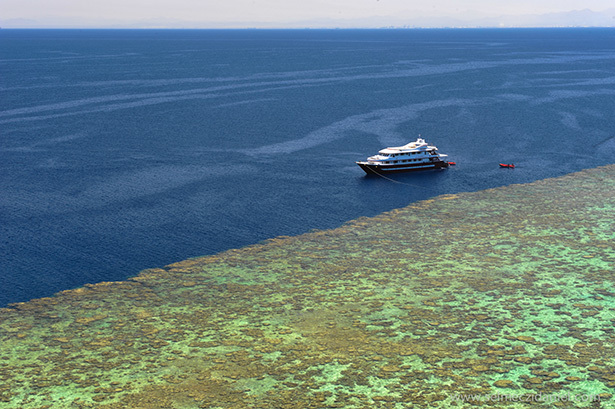 Let’s face it, Shaab El Erg is not the most beautiful or the most famous diving spot in the Red Sea. It is only one of the hundreds of reefs alike. This week we have had a few beginner divers in our group, so we had decided on this protected bay to be the site of the first dive. The 8-10m depth is perfect for a check dive. After jumping into the water, the usual Red Sea marine life was waiting for us – tiny red fish near the reef, black and yellow angelfish in pairs and on the sea bottom, barbels were digging for food in the sand. Blue-spotted ray – check. Murena underneath the reef – check. We were about halfway into our dive when dolphins showed up unexpectedly. Their familiar whistles and the gentle easy with which they glided through the water took our breath away. They circled us a few times, took a closer look at us and then as quickly as they came, they disappeared. Once onboard, we were all excited to share our experiences with the dolphins. Can you imagine what an unforgettable joy it is for someone to meet with dolphins on their first ever dive in the sea! I have been diving for more than 10 years and have almost 600 dives but I have never experienced anything this exciting! Don’t miss this place when you are in Egypt!